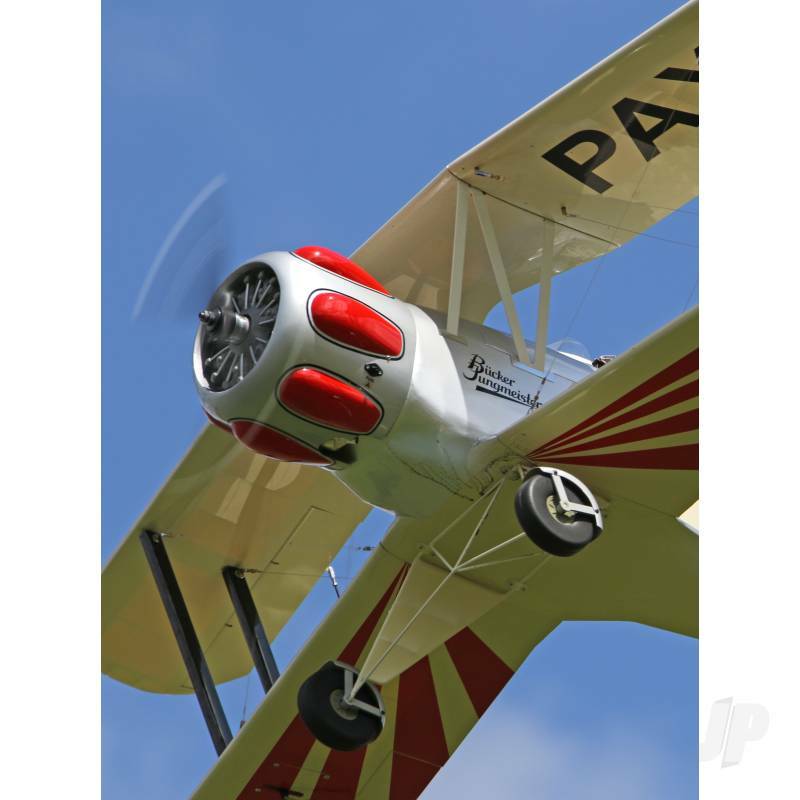 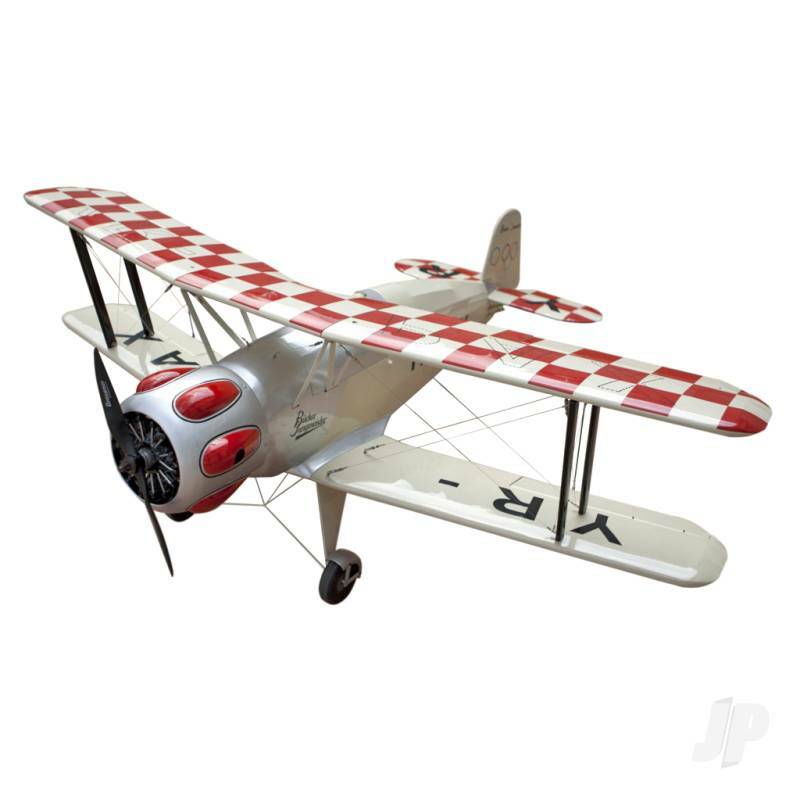 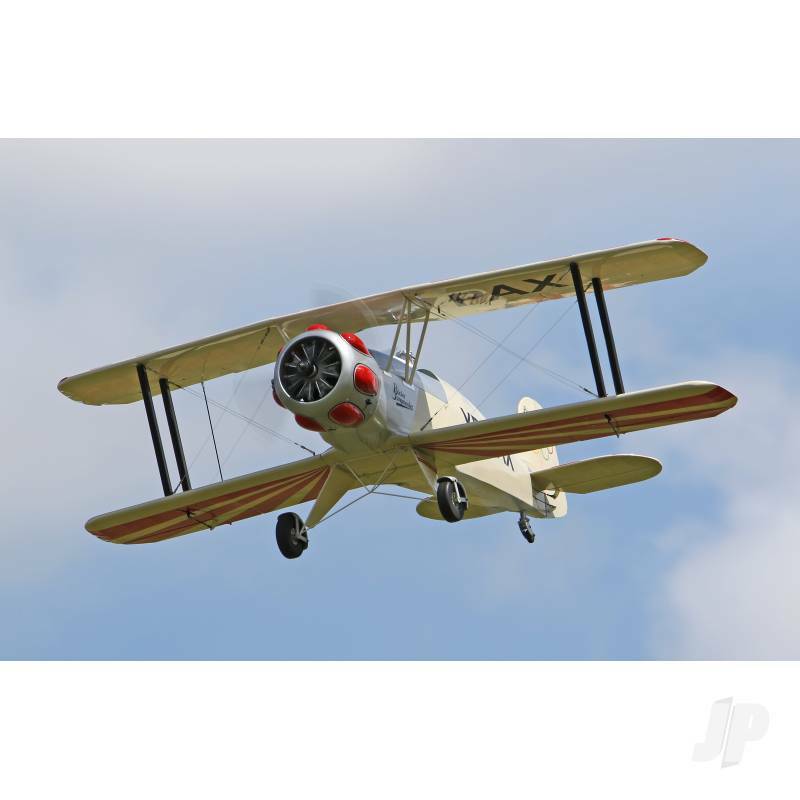 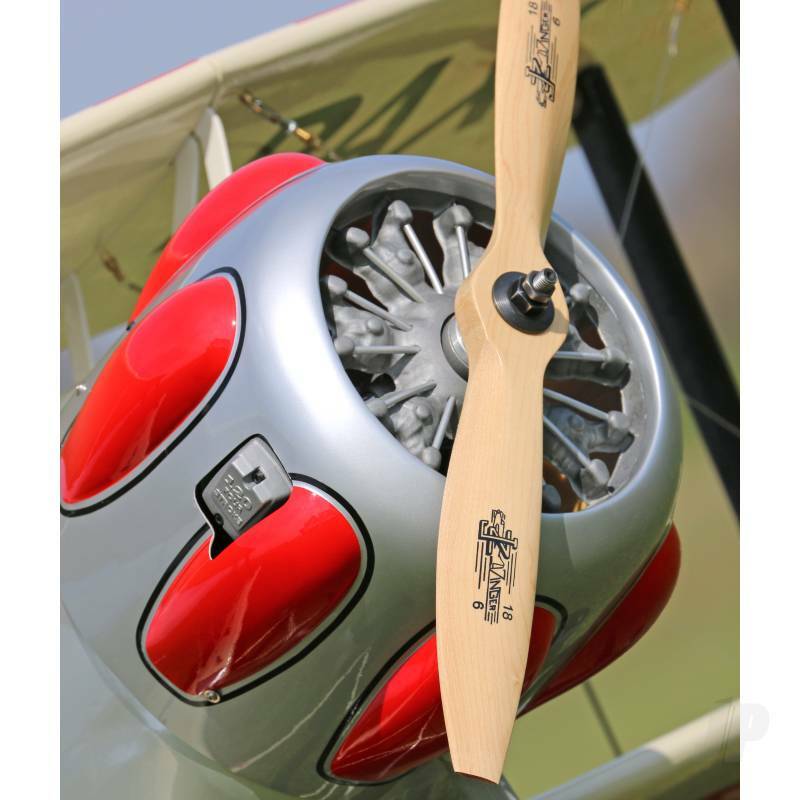 A vintage biplane with a graceful aerobatic performance and a host of authentic detail to attract the scale flyer. 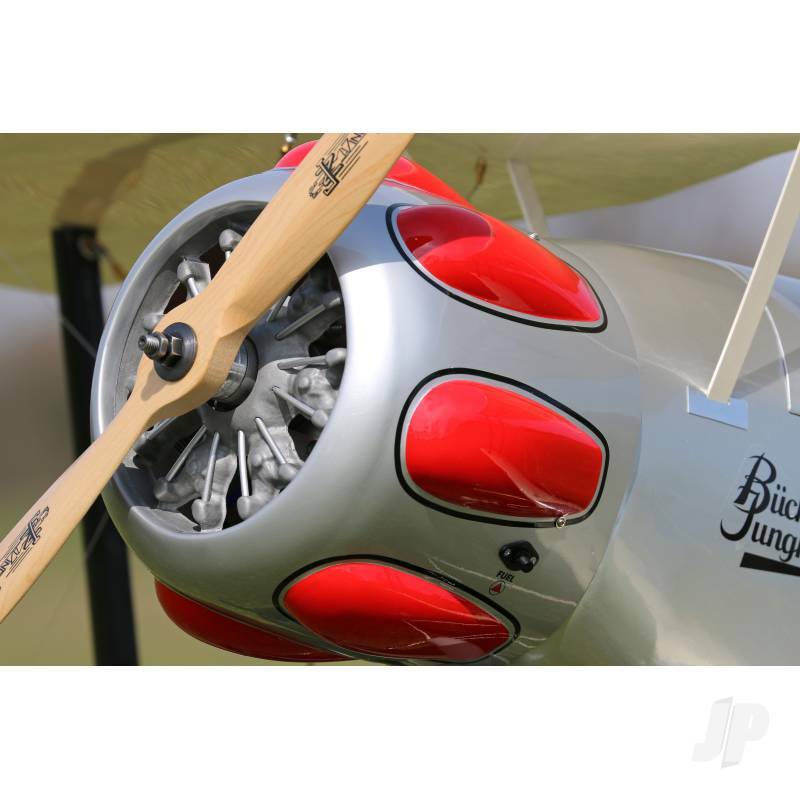 Presented in an original eye-catching colour scheme the Jungmeister makes a refreshing alternative to other biplanes of the period and at 65' span, it has presence too! 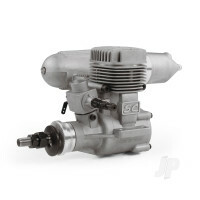 Seagulls 65' replica has been designed to suit popular .90 class two stroke or 1.20 class four strokes engines (or 20-22cc petrol) and four channel radio with six servos. 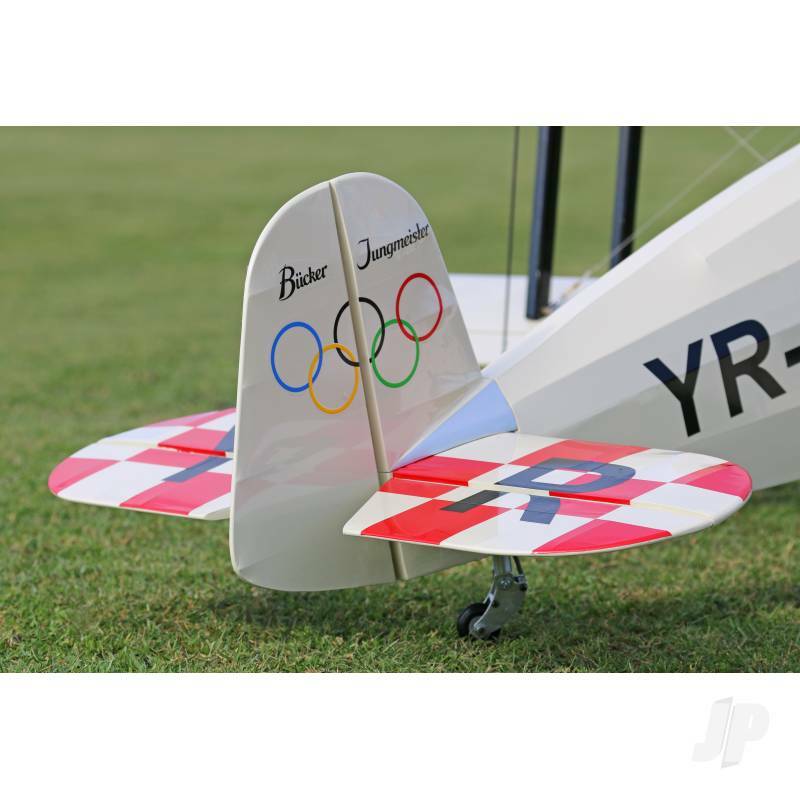 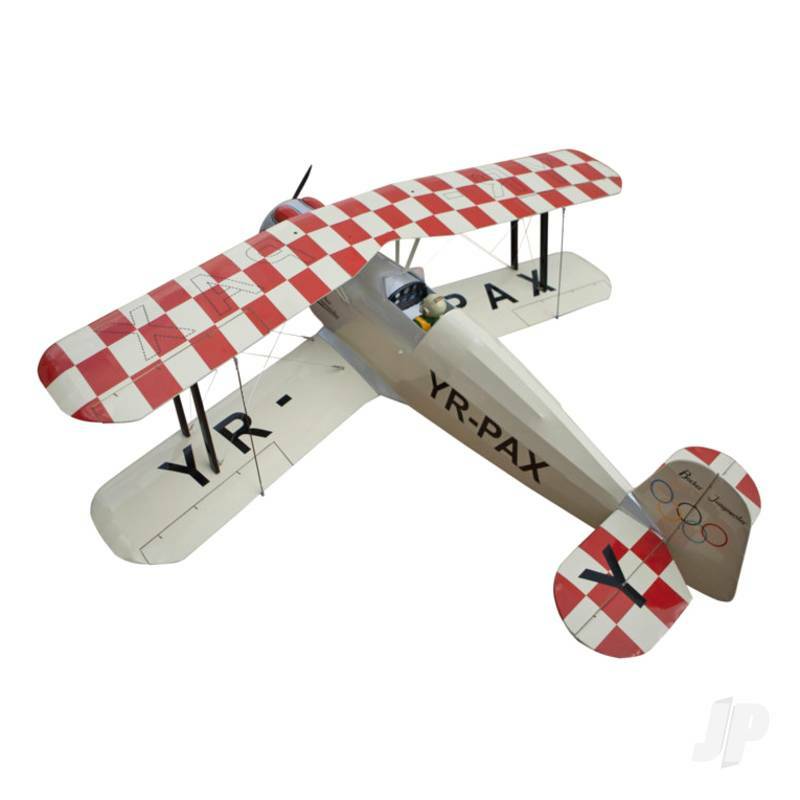 Beautifully built from lightweight laser-cut balsa and ply parts then expertly covered with Oracover in this distinctive scale scheme belonging to the restored aircraft flown by Romanian Alex Panapa during the 1936 Olympics. 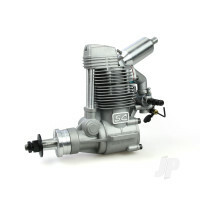 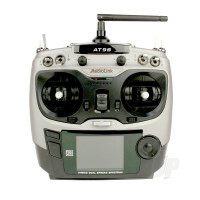 Supplied complete with a full hardware pack, fuel tank, wheels etc. 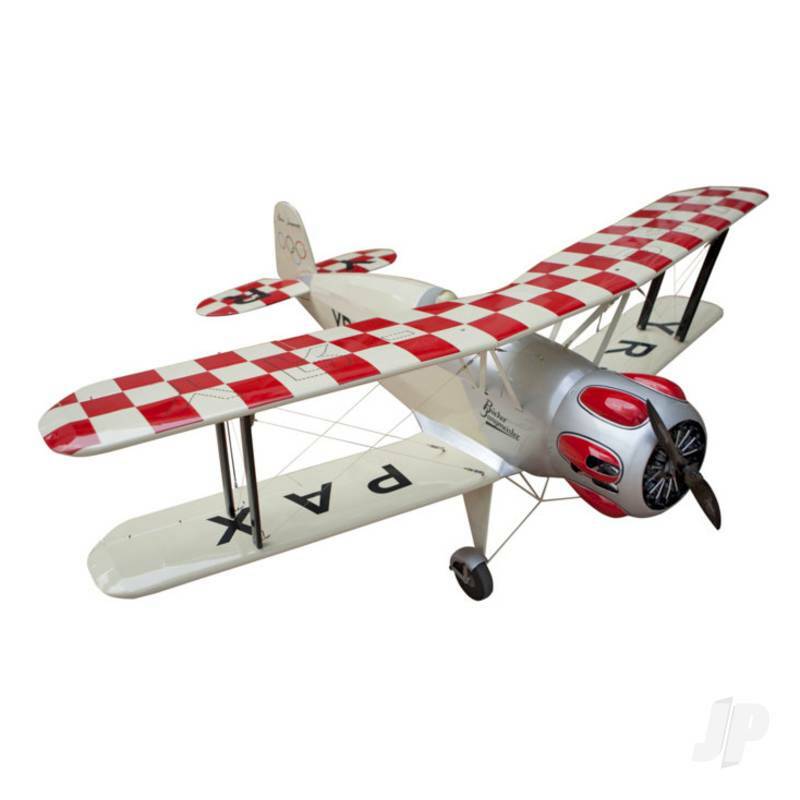 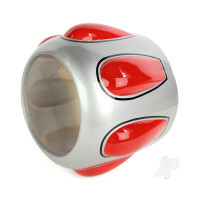 the model features a lightweight, factory painted woven fibreglass cowl and wheel covers. 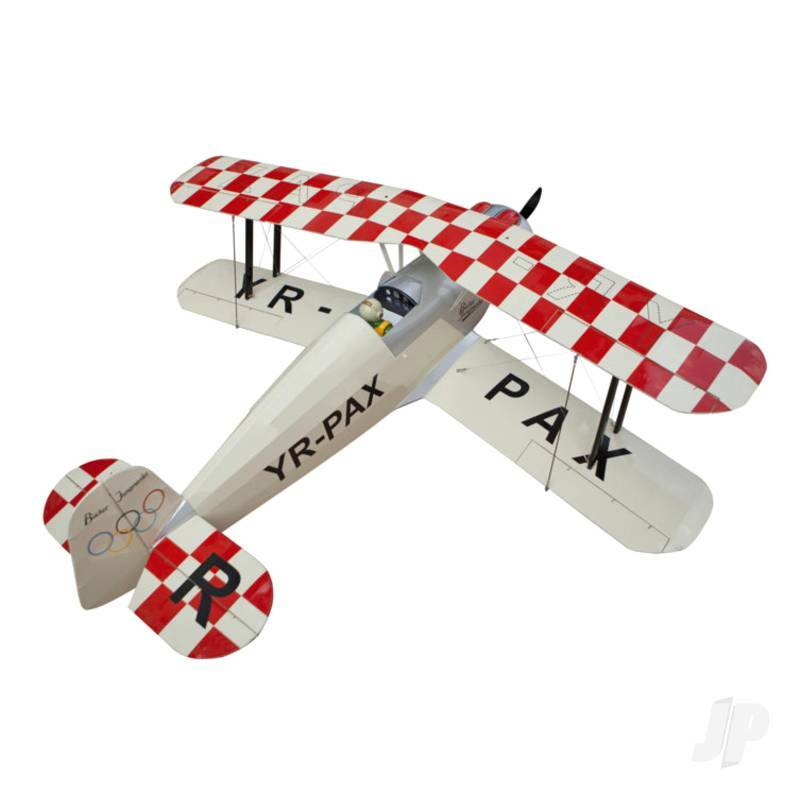 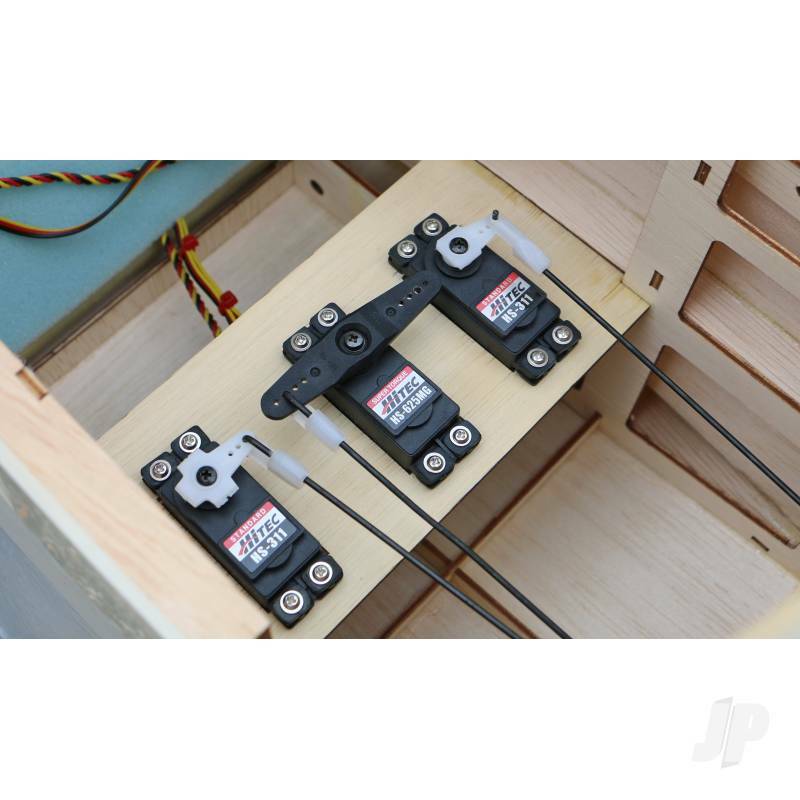 Scale touches include the pre-formed wire undercarriage, steerable tailwheel, characteristic rigging wires, cockpit instrument panel and pilot. 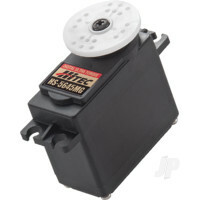 Assembly is quick and enjoyable. 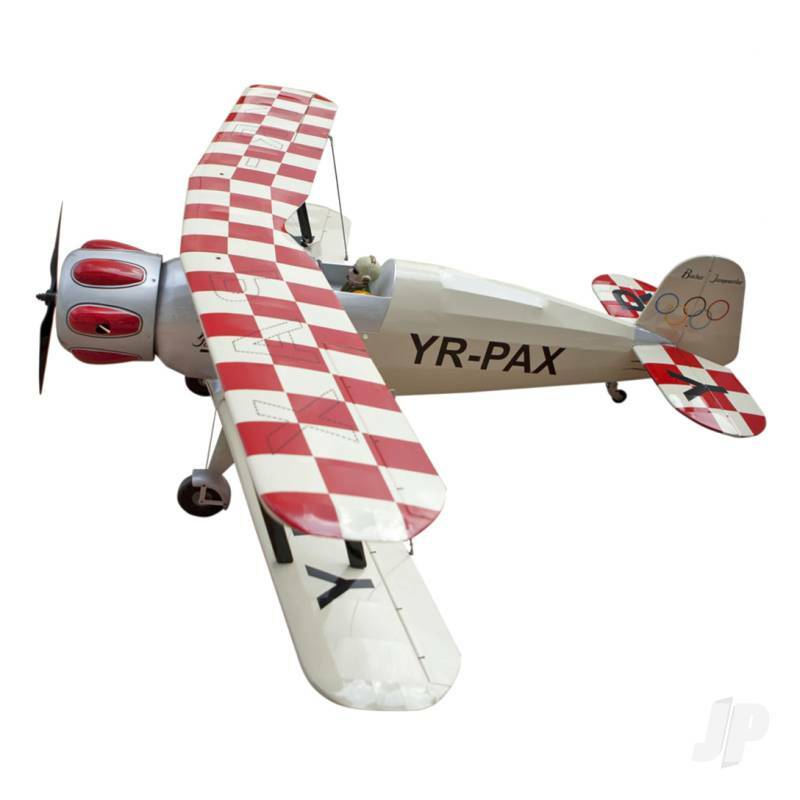 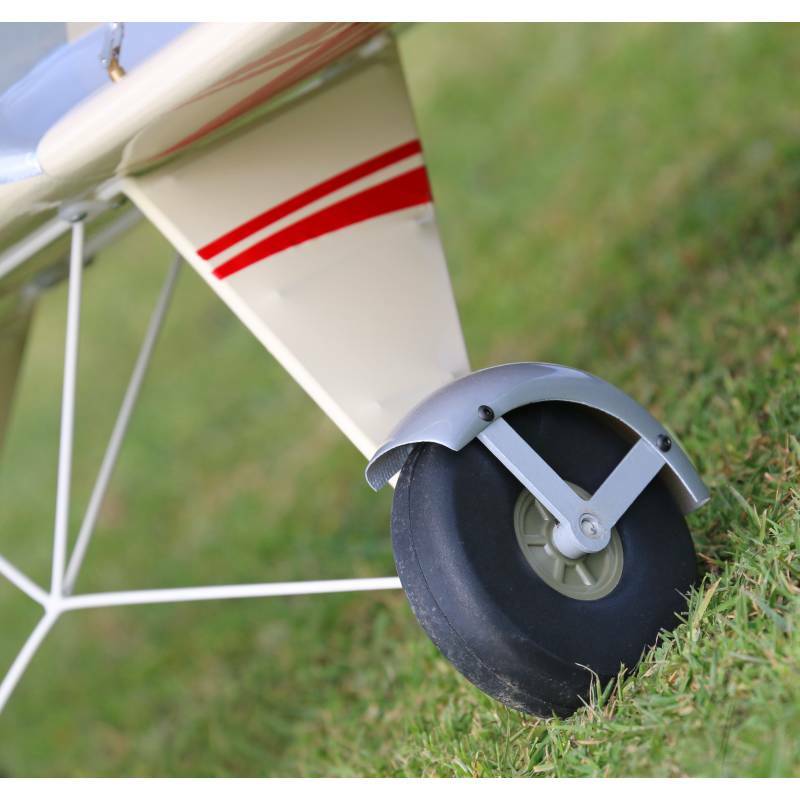 The flying will suit intermediate to expert pilots who will be able to enjoy the models sprightly aerobatic performance that is similar to the full size Jungmeister which achieved numerous victories in international aerobatic competitions from the mid 1930s right up to the 1960s.